Newly available in September this is a rare chance to purchase a 3 bedroom caravan with central heating and double glazing. 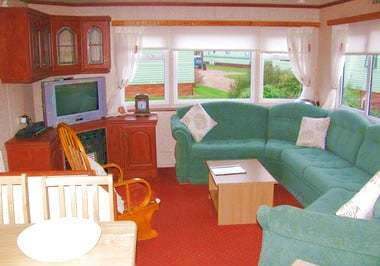 This is an ex-hire caravan which is in very good condition and has been recarpeted throughout. The extensive seating area in the lounge was reupholstered only this year. 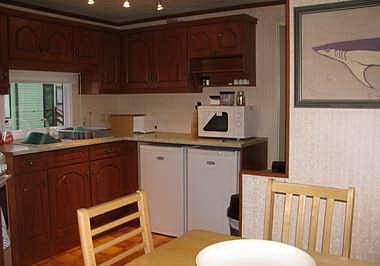 The kitchen area has a new gas cooker with a fridge and separate freezer, there is also a new table and chairs in the dining area. The caravan is sited on a recently developed pitch that has a large patio area which is a real sun trap.